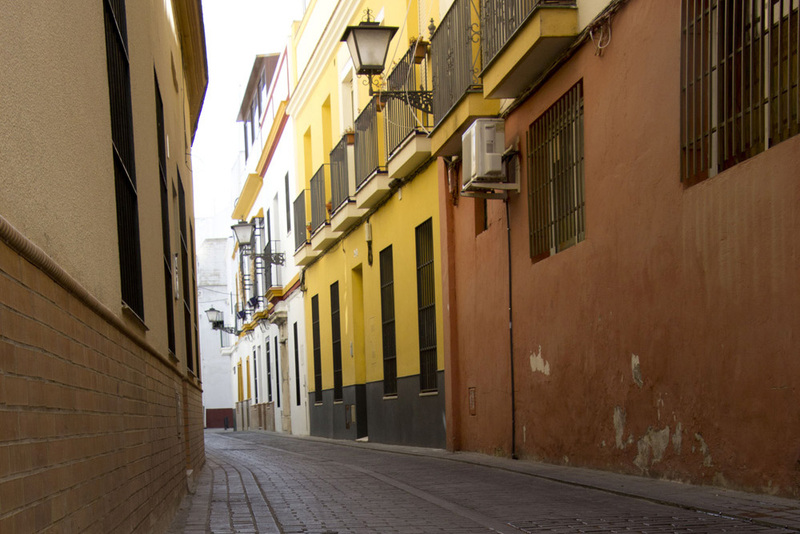 Exploring Seville on foot is definitely the way to go. The sights are not spread too far apart which means you can see a lot in only one day. 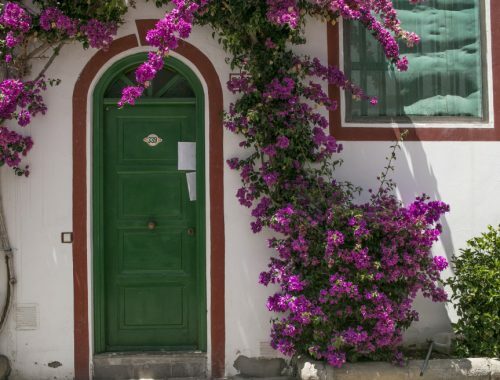 And the charming unknown corners and hidden markets of the city would be missed if the day was spent in a bus or in a car. I’ve put together the below map and guide to help you explore this city and all of its beautiful places with your feet. 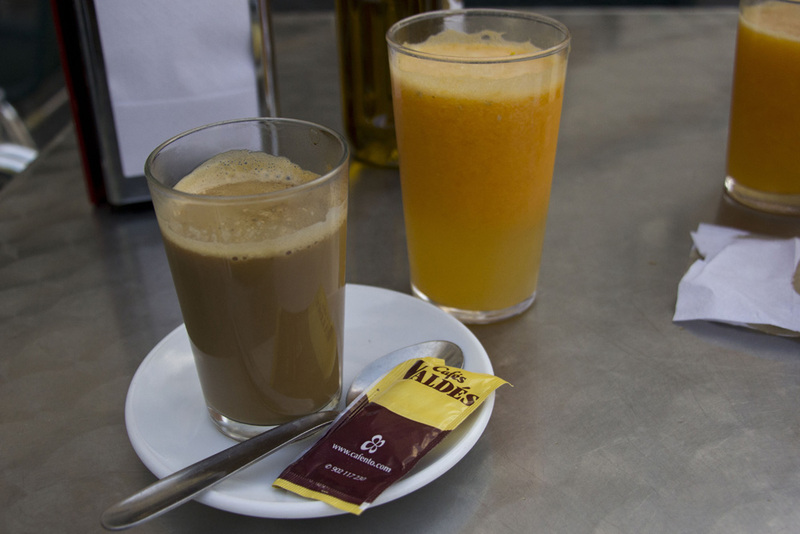 Our day started at our aparthotel in Triana, Casas y Patios. 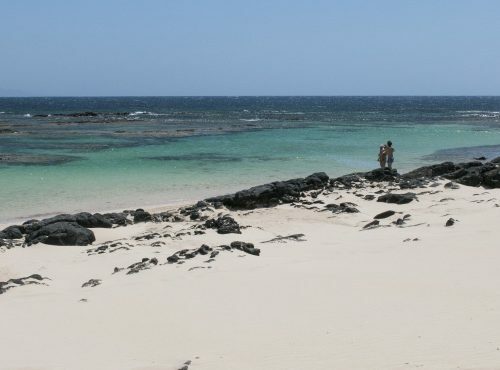 (This place is perfect for independent travelers looking for a quiet local place to stay. 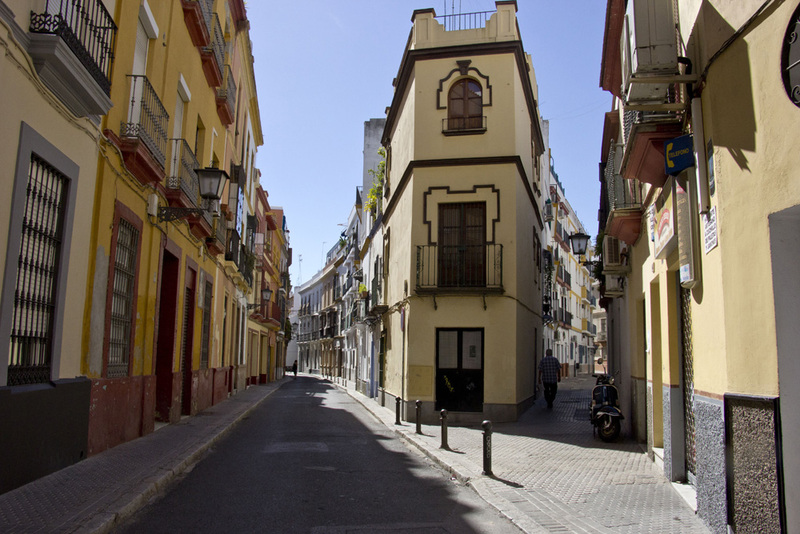 It’s clean, well decorated, and affordable) The best part about staying here was its ideal location not too far from the center of the Triana action and one block from the river. 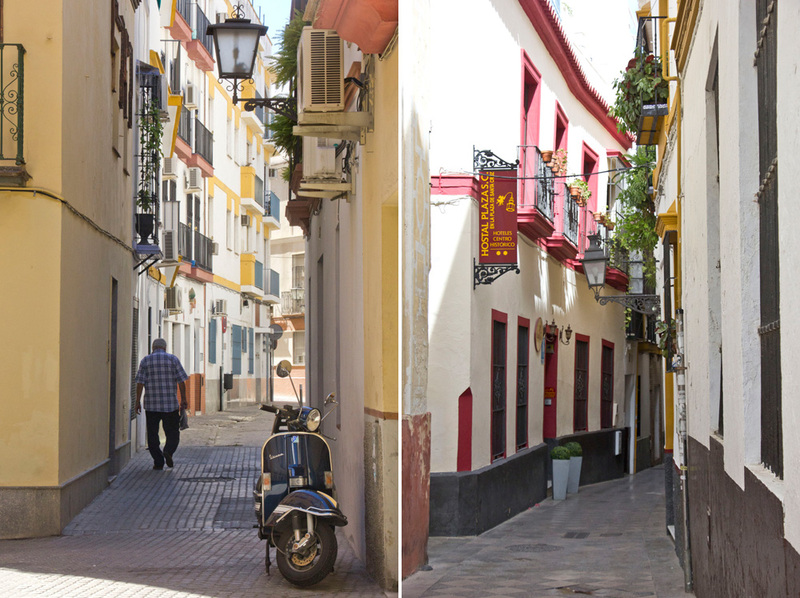 The streets of Triana are lovely – quiet and busy in all the right ways. 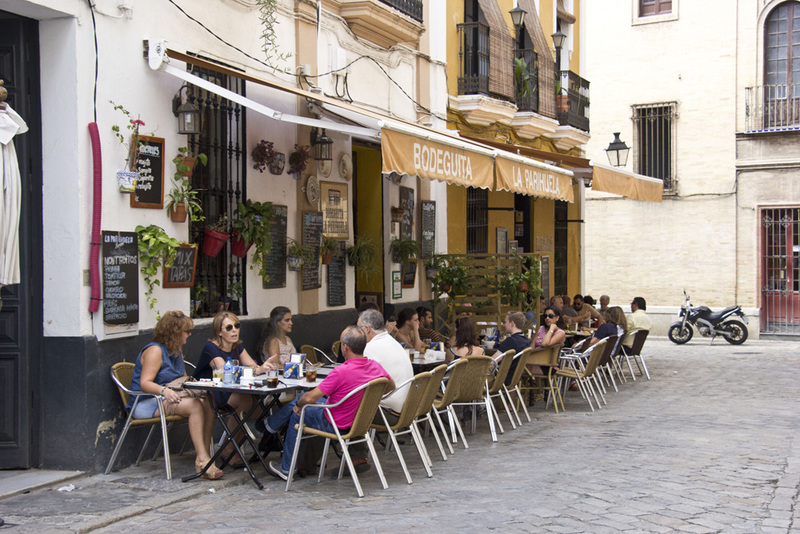 Cute restaurants, amazing river and city views, quirky shops, traditional ceramic boutiques, bars and restaurants – the list goes on. I loved staying here and would stay here again in a heartbeat. 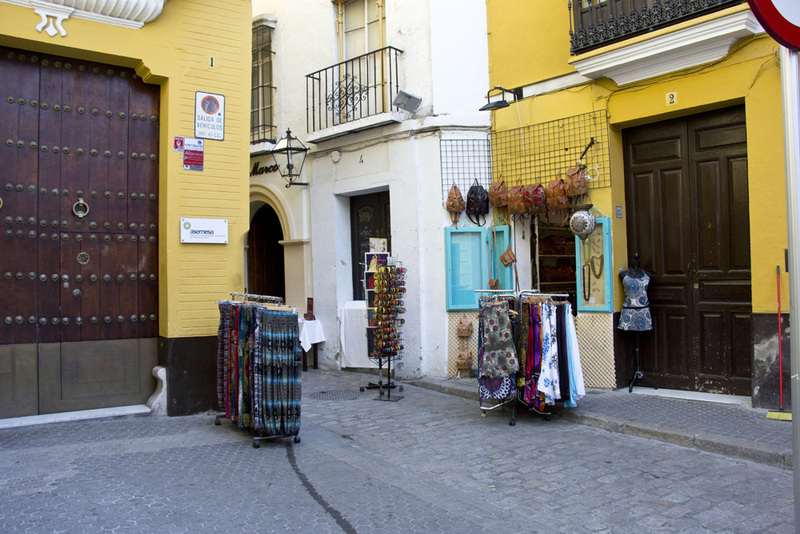 While the grandness and traditional atmosphere of the city center is equally Sevillian and ideal for accomodations, I figured I’d be spending time there anyway to see the sights. 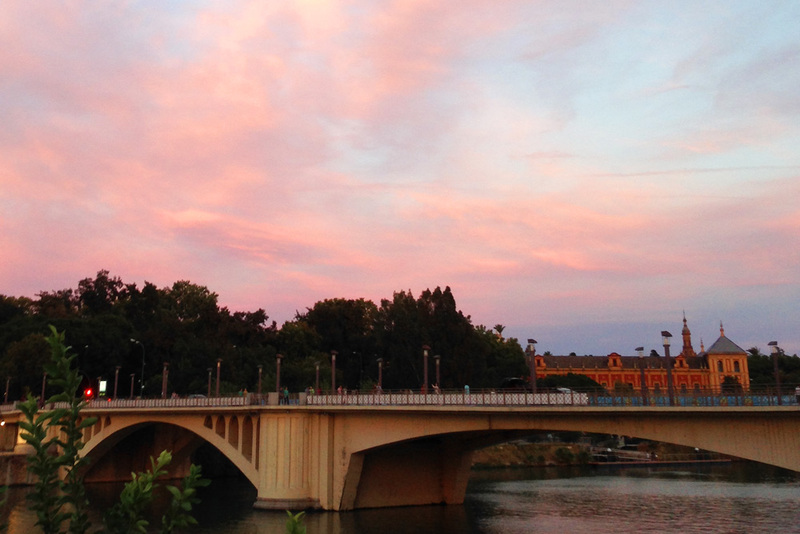 And Triana, in my opinion, is best experienced at night time. 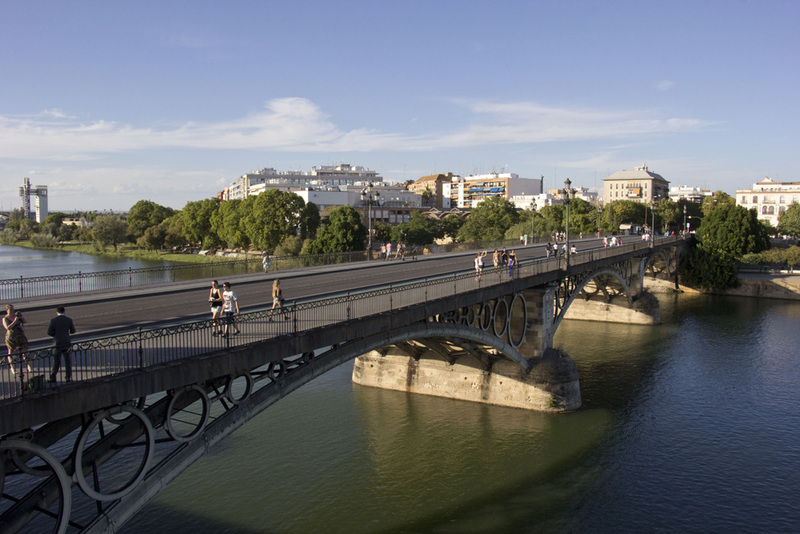 The Guadalquivir runs through Seville, shaving off Triana (and two other small neighborhoods) to the west and flanking the rest of the city to the east. With most of the sights in the city center, crossing the river is a must. On either side of the bridge, you can walk along the river. My favorite side to visit during the day is the city side – it offers nice sunset views, riverside bars, and water activities like kayaking and boat tours. 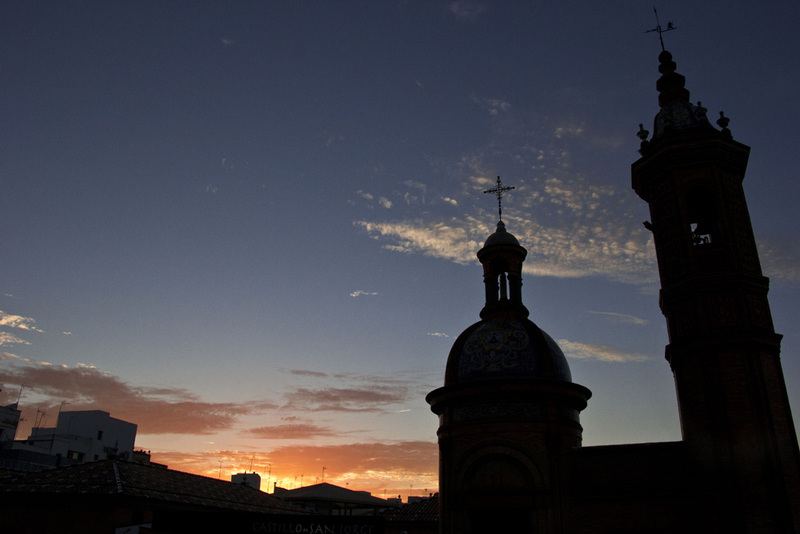 Plaza de Toros – if you are into that kind of thing. I really dont like the idea of bullfighting. 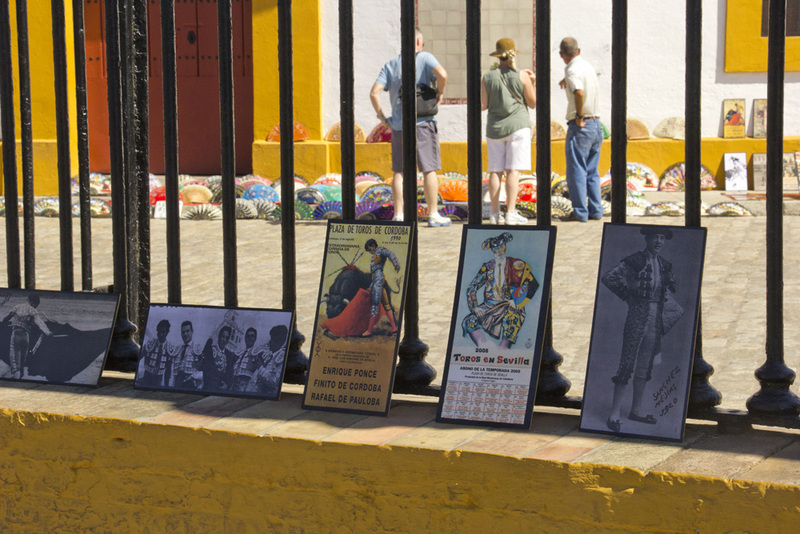 I realize it’s more about tradition now than it is about the bullfight itself, but I can’t get beyond the cruelty. Nonetheless, the arena – which, by the way, is blindingly white and yellow and impossible to miss – is still worth seeing as it is an important piece of the city’s culture. But I couldn’t bring myself to pay money to go inside. I was fine just seeing the exterior. 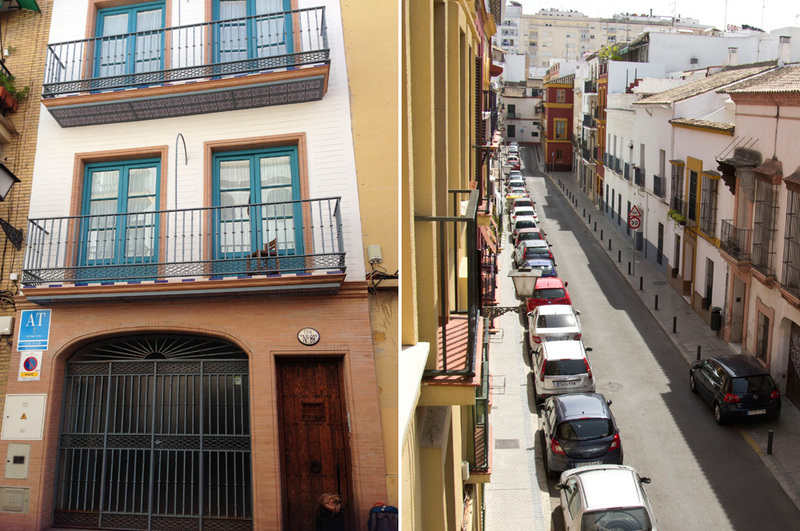 This is the most spectacular thing about Seville. GO. 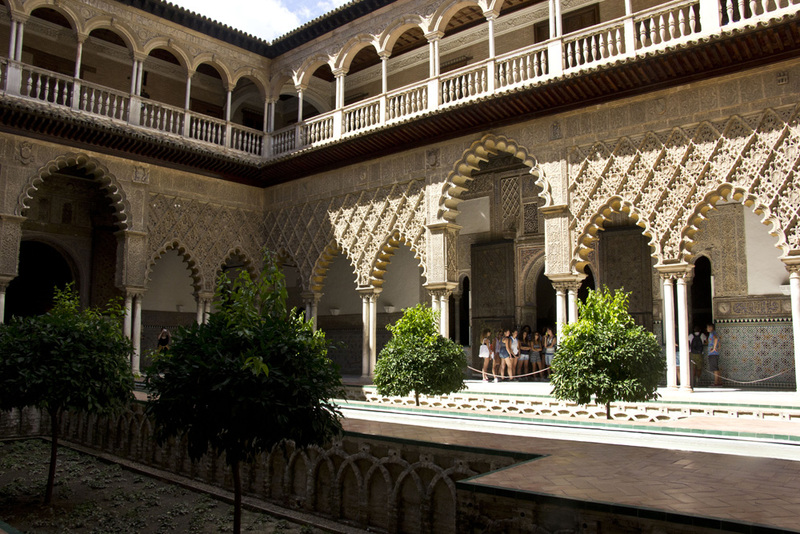 And read THIS for more on this amazing palace. 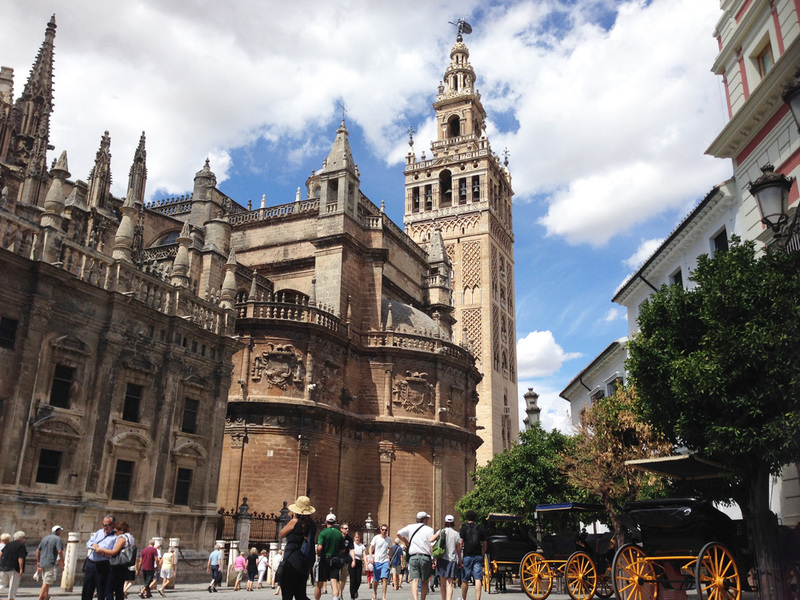 Since it’s right next to the Alcazar, the Catedral de Seville is hard to miss. It’s gothic, it’s enormous, it’s moody. 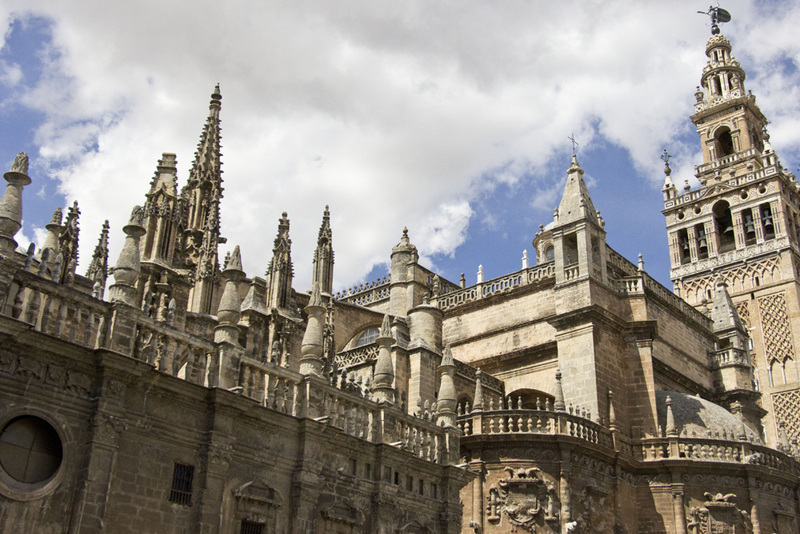 It’s also one of the largest cathedrals in the world. 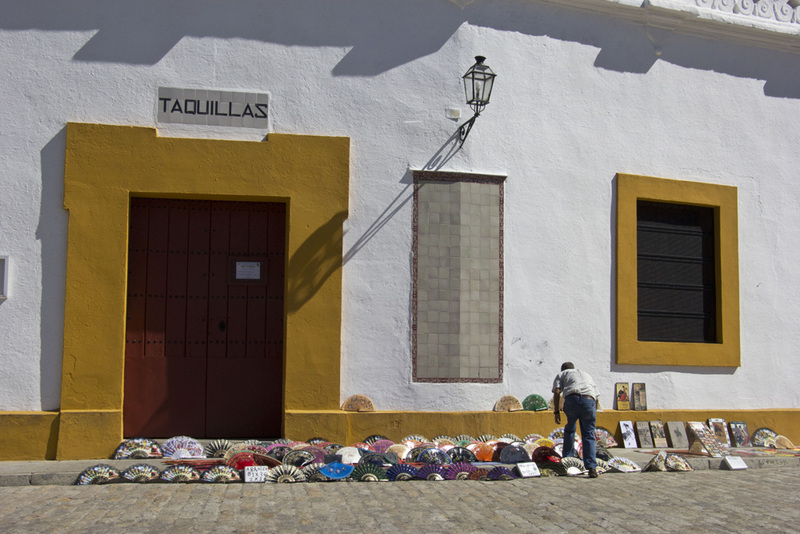 It was built in the 16th century as a Roman Catholic church and was a symbol the city’s wealth. 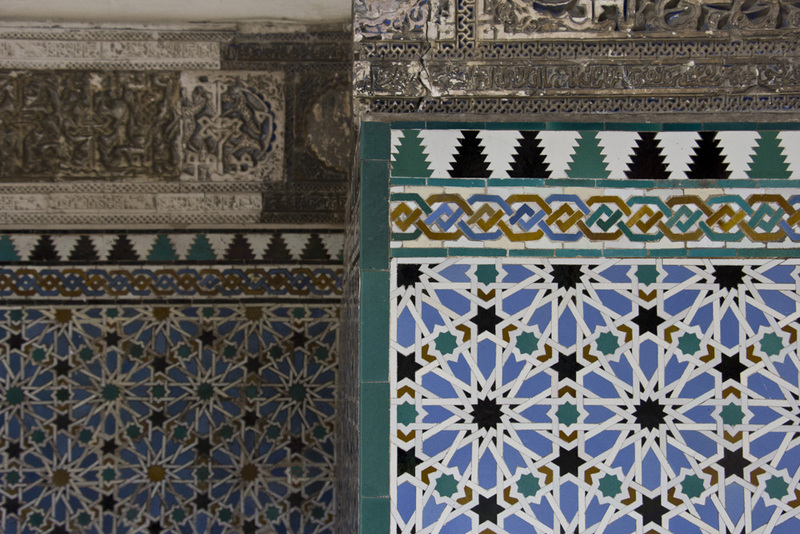 Every corner of every spire, wall, and crevice is decorated with gothic details. It’s stunning and terrifying at the same time. 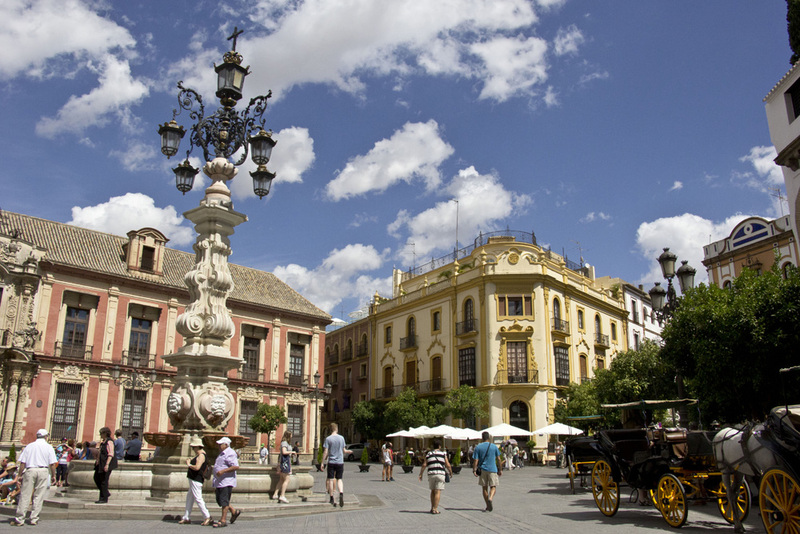 The square around the cathedral is the best place to find a horse drawn carriage if you were hoping to travel around the city in style. While a ride in a carriage is a little too touristy for me, the carriages were very photogenic and definitely added to the old-world atmosphere. Aaaah. My favorite part of a walking tour. EATING THINGS. 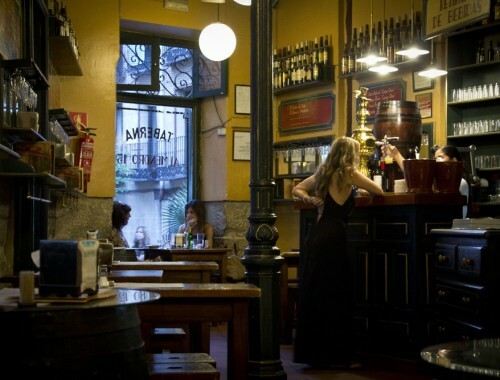 There are tons of well reviewed tapas bars in the immediate area around the Alcazar and cathedral as well as touristy ones, so do a little research if you are looking for something specific. Bodega Santa Cruz is a crowd favorite, but it’s almost always uber packed. We went with an average place called La Moderna right down the street from Bodega Santa Cruz that had sidewalk tables in the shade. 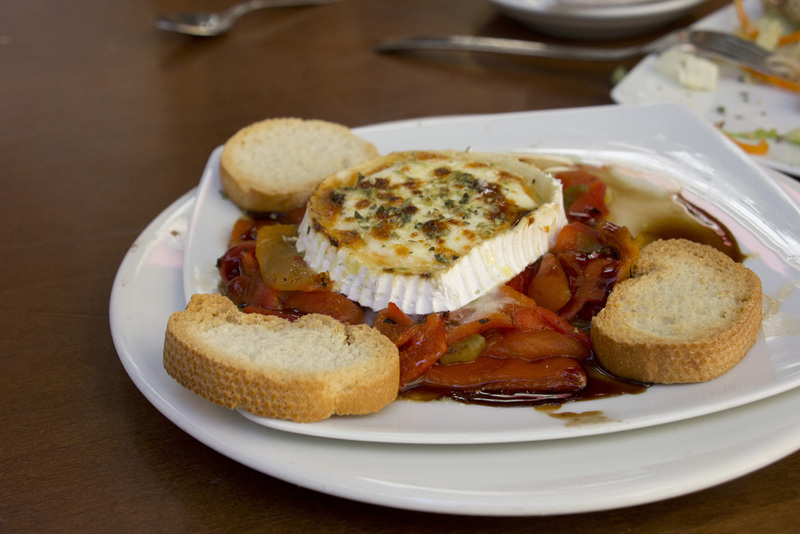 Afterall, the atmosphere is half of the fun of a tapas lunch. And after lunch, a walk around the neighborhood. So good. 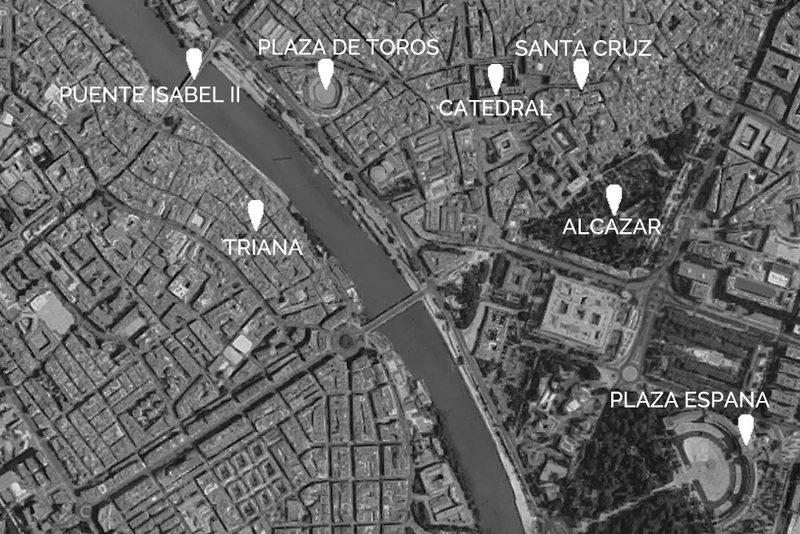 I don’t have any photos of Plaza España because we officially did not go there. I WISH we had though and that’s why I’m adding it to this itinerary. 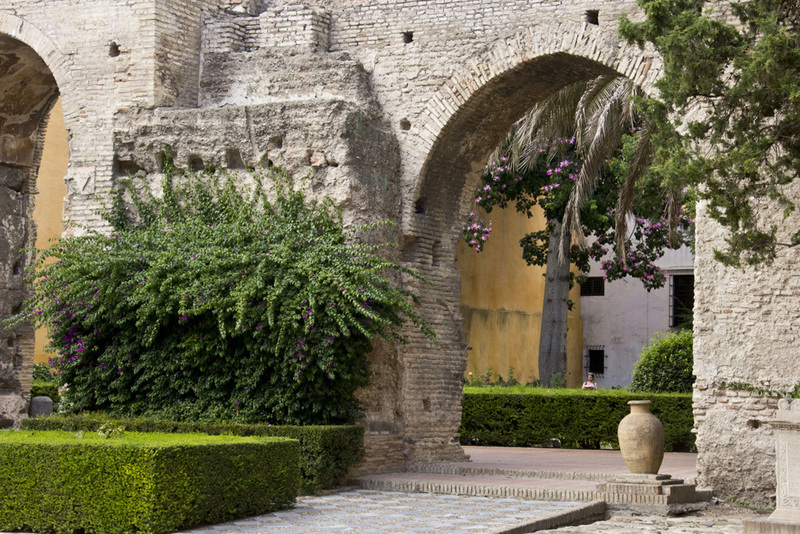 It’s not far from the Alcazar and fits nicely on the route of this walking tour. Yet somehow we missed it. 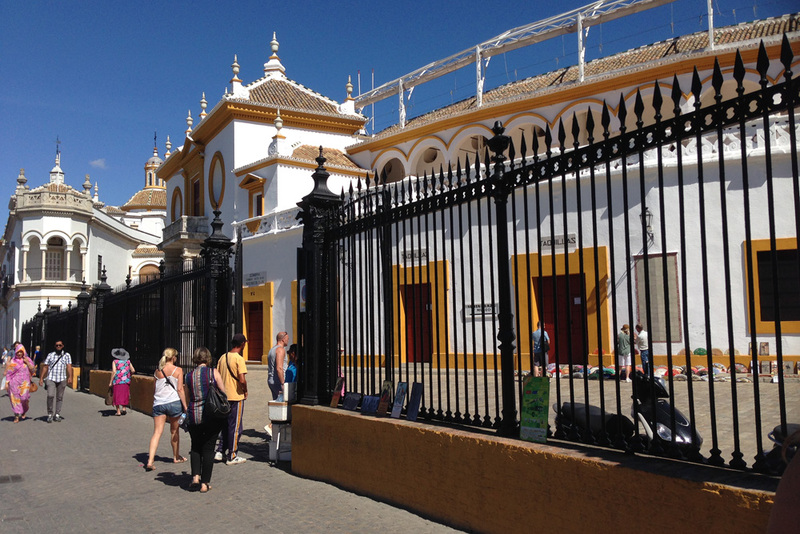 It’s iconic in Seville and you should go – I regret not making it a priority. 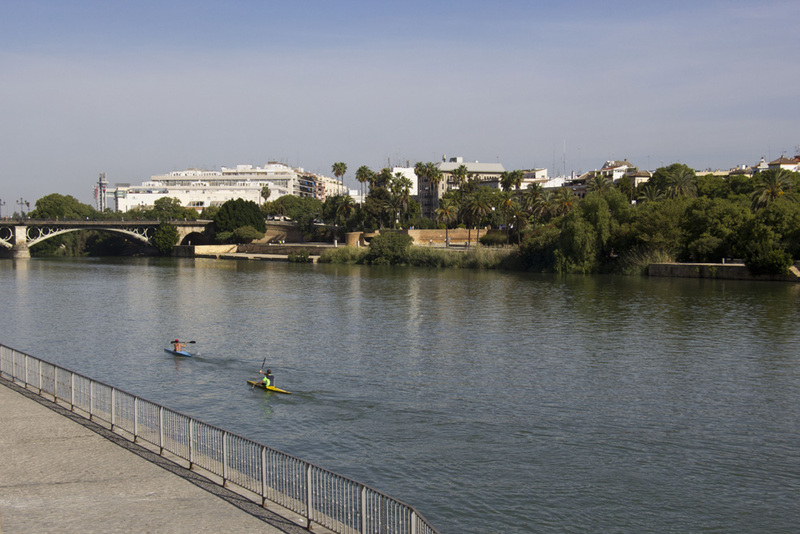 END: Cross back over into Triana, take a siesta, and then watch the sunset along the river. Always the ideal way to end a day on the road. A cocktail and a sunset – after a nap that is. 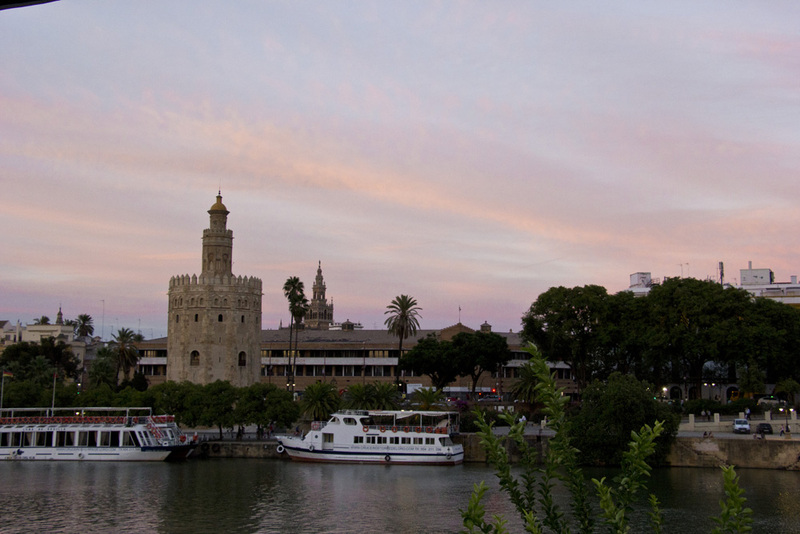 Have you been to Seville? 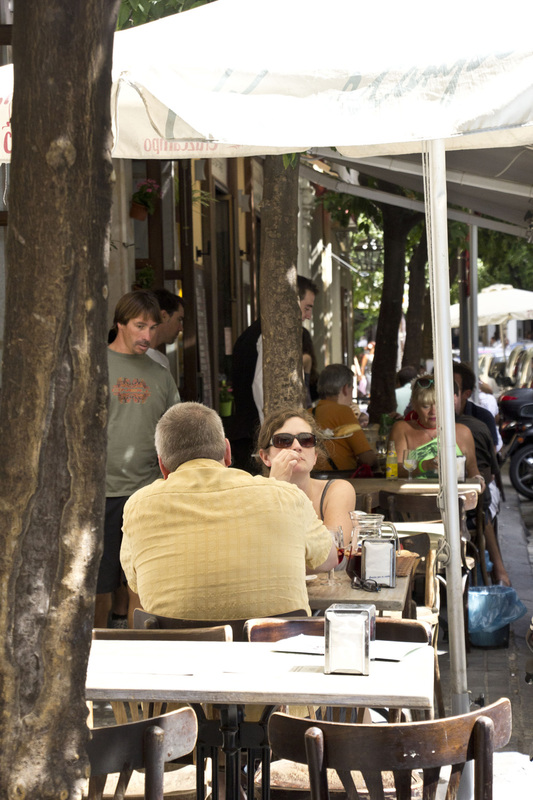 What would you add to this walking tour?